Off to the Post I go! It’s always so fun to send Dorothy swag in the mail, and I never get tired of writing to those who have supported us around the world. 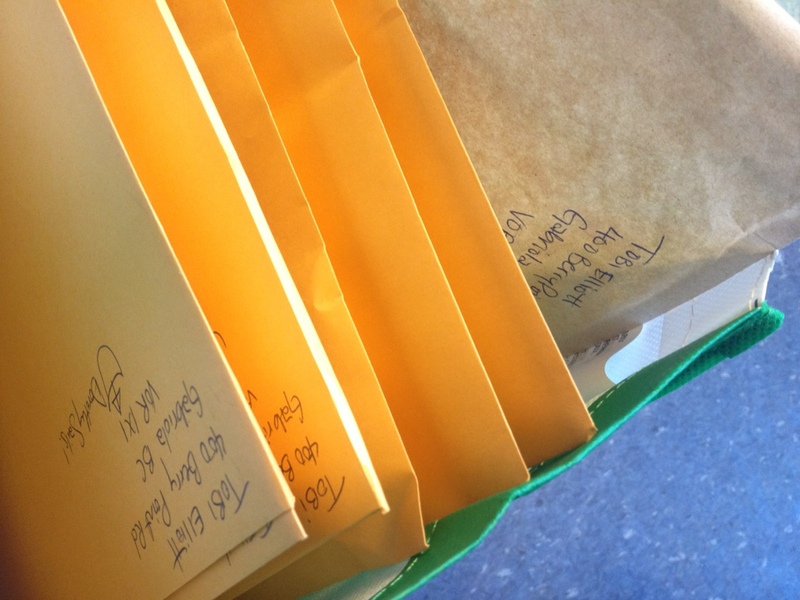 Today we’re sending off 6 Dorothysails Tees, a package of Panacea Herbs organic goodness, and some lovely art cards from Gabriola. All part of the perks we get to give away to those who donated! Giving back is fun. Almost as much fun as… say… Making documentaries! Almost. Thanks again for supporting us everyone, we raised over $8,000 for the film, which is incredible!